David Weiss and Manimaran Govindarasu recently were elected Fellows of the Institute of Electronic and Electrical Engineers (IEEE). The two became the 14th and 15th ECpE faculty members to be named IEEE Fellows. Weiss, Professor of Software Engineering, was elected for his contributions to software measurement and product line engineering. Weiss brought a wealth of research laboratory experience upon his arrival at Iowa State in 2009. 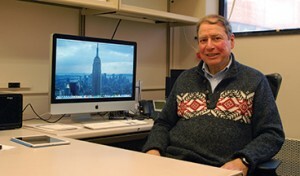 Prior to his appointment as a professor of ECpE and Computer Science, Weiss directed the Software Technology Research Department at Avaya Laboratories. Previously, he headed the Software Production Research Department at Lucent Technologies Bell Laboratories and held numerous other positions in industry and government. His team at Avaya was ranked among the best industrial software engineering research organizations in the world by the Association for Computing Machinery. He invented the goal-question-metric approach to software measurement and is the primary inventor of the FAST process of product-line software engineering. Weiss earned a bachelor’s degree in mathematics from Union College in 1964 and received his master’s in computer science from the University of Maryland in 1973. He earned a Ph.D. in computer science from Maryland in 1981. After arriving at Iowa State in 2009, Weiss was the inaugural recipient of the Lanh and Oanh Nguyen Professorship in software engineering. In 2012, Union College honored him with an alumni award for significant contributions to Computer Science. “Iowa State is a wonderful, nurturing environment for those who want to pursue new ideas and are interested in and willing to encourage innovation in student thinking and achievement,” Weiss said. Govindarasu, Mehl Professor in the ECpE department, was elected for his contributions to security of power grids. Govindarasu received his master’s degree in computer technology from the Indian Institute of Technology – Delhi in 1994. He earned a Ph.D. in computer science and engineering from IIT – Madras in 1998. In 1999, Govindarasu joined the ECpE Department at Iowa State as an assistant professor. He was promoted to associate professor in 2005 and to full professor in 2011. In 2011, he was appointed associate chair of ECpE and in 2013 he was named the Ross Martin Mehl and Marylyn Munas Mehl Professor of Computer Engineering. His research focuses on cyber security for the smart grid, including risk modeling and mitigation against cyber-attacks on the power grid using a cyber-physical systems (CPS) approach. He is also involved with designing attack-resilient monitoring, protection, and control algorithms for the smart grid, and also has developed a CPS security testbed for attack-defense experimentations. 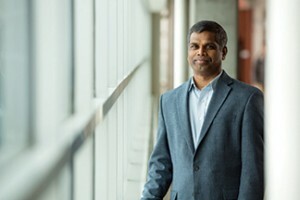 Govindarasu was honored by the ISU College of Engineering with the Young Engineering Faculty Research Award in 2003 and the ISU Award for Mid-Career Achievement in Research in 2013. He was a 2009 recipient of the Mervin S. Coover Distinguished Service Award and a 2010 recipient of the Warren B. Boast Undergraduate Teaching Award – both from the ISU Electrical and Computer Engineering Department.